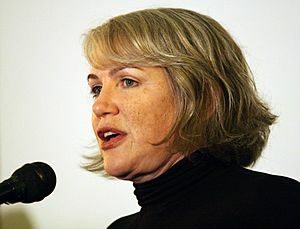 Julia Sweeney (10 October 1959) is an author, movie actress and comedian who also stars on television. She starred in the movies Pulp Fiction and Stuart Little. She also performed on Saturday Night Live. Julia was born near Spokane, Washington. Julia Sweeney Facts for Kids. Kiddle Encyclopedia.